Every year, NAMA holds a photography contest. With the recent popularity of mushroom photography, many of us already have a picture that can be entered. 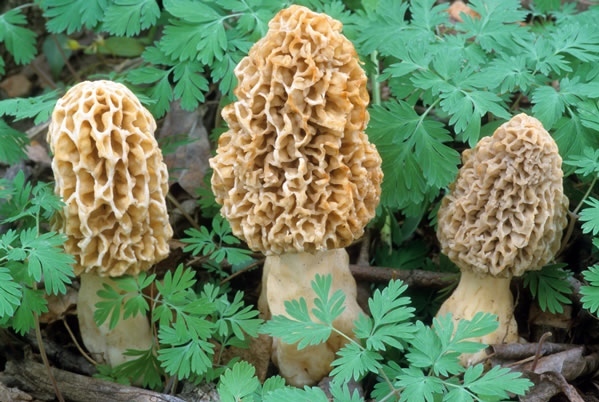 If not, there is time to start to photographing mushrooms before next year's contest. Entering the photo contest is easy and fun. Everyone who wins first, second or third place award receives a prize. And anyone who enters the contest has at least one of their pictures shown at the NAMA foray at the evening program. One of the winners could be you. The contest has three categories: documentary, pictorial and judge’s option. There is a short basic description of each below. 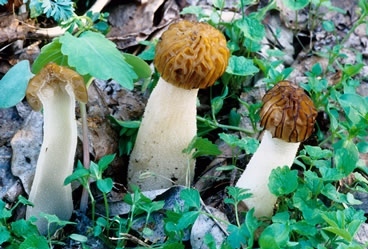 Images in this category should emphasize the features needed to identify the mushroom. 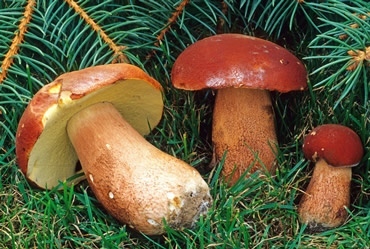 This type of picture generally would have standing mushroom(s) and one or more mushrooms positioned to show the gills, pores, bulb at the base of the stem or the like. 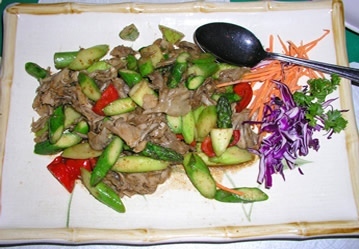 Sometimes mushrooms can be cut in half to show key features. Very small mushrooms (including slime molds) that are extremely enlarged may also fall into this group. This type of image should be of beautiful and undisturbed looking fungi in nature. 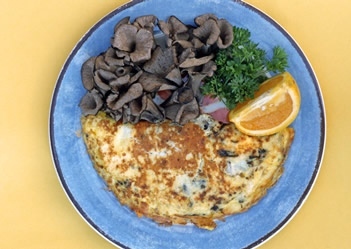 None of the mushrooms should be knocked down to show the underside or cut. Basically any mushroom related pictures that are not of mushrooms growing in their habitat fit into this category; it can include activities, events and humor. 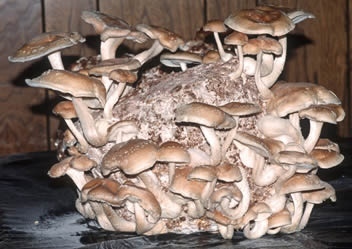 Examples would include thing such as a funny mushroom picture, a cooked mushroom meal, the mushrooms that you collected, mushroom cultivation, a photo of mushroom paper that you made or of mushroom dyeing. 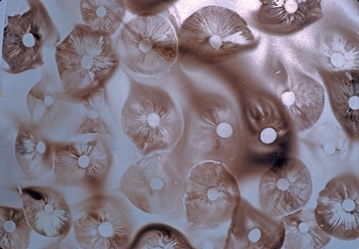 Mushroom spore print art, photographs of mushroom spores under the microscope. The possibilities are endless. 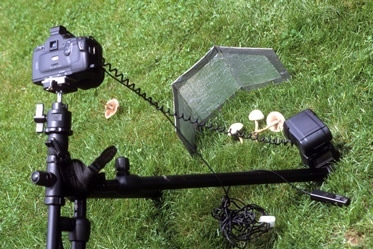 Taking mushroom pictures requires very little equipment. On the left is a basic set up with camera, tripod, reflector and flash. 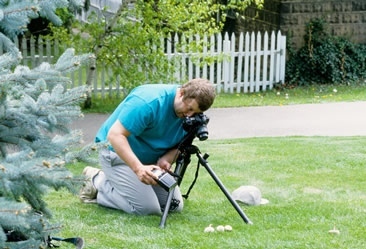 The mushrooms growing in the yard were shot using 35mm slide film with a camera on a tripod using a flash.